Watch this live taping from a Thursday night business presentation by Daniel Dimacale, the fastest growing Enagic Distributor in the world! It's the perfect tool to show to anyone who's interested in finding out about Kangen Water and the incredible Enagic business opportunity. This video is the next best thing to being there live! 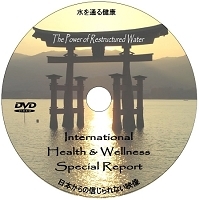 This DVD also includes a live water demo by Daniel.